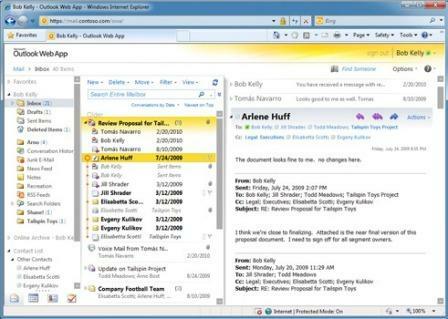 Office 365 is a new service introduced by Microsoft to take advantage of the increasing popularity of cloud service. Office 365 is a hosted solutions targeted at corporations and businesses that want to save the cost of running and maintaining servers and data centers. With Office 365, most if not all entities, regardless of size, can use the enterprise-grade collaboration tools, social networks and unified communications, all delivered via cloud service by Office 365. In other word, Office 365 can potentially become the total cloud computing solutions for companies and corporates, where employees can work from virtually anywhere with access to all documents and emails which are stored online, instead on a fixed physical computer. 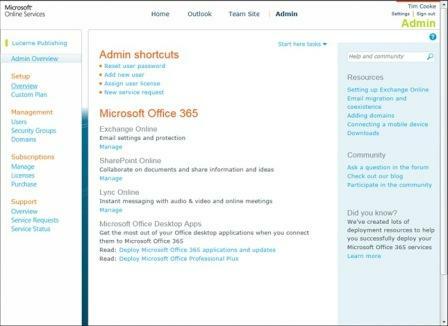 Office 365 for small businesses will replace Office Live Small Business and probably other Microsoft Online Services such as Microsoft Business Productivity Online Standard Suite (BPOS). Office 365 is not free though, and is charged by per user per month pricing model, which starts from $6 / €5.25 / ¥600 per user per month for small businesses, to $10 / €9 / ¥1000 per user per month for enterprises which don’t need Office desktop software or $24 / €22.75 / ¥2540 per user per month for enterprises which requires Office desktop software. Kiosk workers can also access basic email services for $2 /user /month. More pricing details and plans information can be found from Office 365 Fact Sheet. 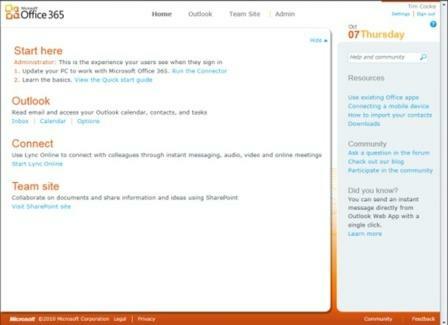 Office 365 is scheduled to official launching in 2011. Meanwhile, the beta of Office 365 has been opened for registration to everybody from the following 13 countries/regions: Canada, France, Germany, Hong Kong SAR, Ireland, Italy, Japan, Mexico, Puerto Rico, Singapore, Spain, United Kingdom, and the United States. The limited beta release of Office 365 will be available in (traditional), English, French, German, Italian, Japanese, and Spanish languages. Those who interested can register and sign up for Office 365 beta to enjoy the free usage to explore the new features of Microsoft Exchange Online, Microsoft SharePoint Online, Microsoft Lync Online and Microsoft Office Professional Plus desktop suite, up until 30 days after Office 365 general availability (around March 5, 2011). Then participants may choose whether or not to continue with the service as a paid offering. To sign up, just visit http://office365.microsoft.com/en-US/office365-beta.aspx to enter first name, last name, email address, organization size and choose either Office 365 for small business or Office 365 for enterprise plan. Office 365 for small businesses and professionals is ideal for organizations that have 25 or fewer employees and no IT support. 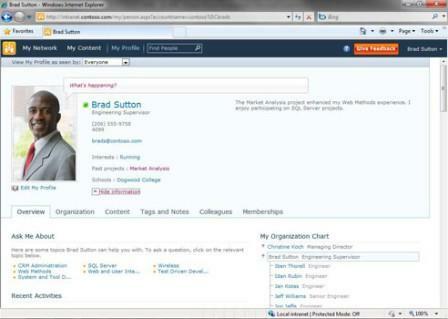 Office 365 for enterprises is ideal for larger, IT-based organizations.